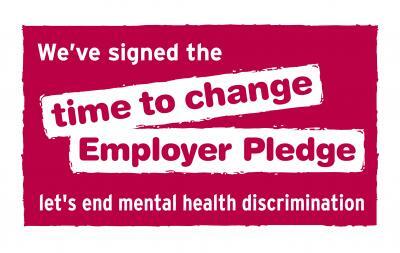 Novartis UK is proud to sign the Time to Change Employer Pledge – a growing social movement run by charities Mind and Rethink Mental Illness – to support people to talk about mental health problems. Nine in ten people with a mental health condition experience stigma and discrimination. By signing the pledge, Novartis UK commits to changing the way we think and act about mental health, and develop an action plan of activity that aims to break the silence that surrounds mental health in the workplace. With one in four people experiencing a mental health condition in the UK every year, it is critical that we, as employers, do everything we can to support our employees, both in and out of work with their mental wellbeing. It is incredibly encouraging to see the amount of interest received so far with this campaign, and we endeavour to create an environment at Novartis UK in which mental health conditions can be discussed openly and that people have access to the right support as and when they might need it. Our overall aim is to evolve the organisation’s dialogue regarding mental health, to destigmatise the topic and further support our employees in this area. It is fantastic to see mental health in the workplace being taken seriously by so many companies, including our own. From small actions, to larger protocol shifts, it is critical that change is made to support those with mental health conditions and encouragement is given to people to talk, listen and support their colleagues. I would encourage all organisations to get behind this important campaign. Ninety fiver per cent of Time to Change supporters say that signing the Employer Pledge has had a positive impact on their organisation and Novartis UK is looking forward to implementing our action plan to bring better mental health understanding to our company. Time to Change is funded by the Department of Health, Comic Relief and the Big Lottery Fund. Set up to create a positive shift in public attitudes towards mental health. Time to Change supports communities, schools and workplaces to open up to mental health conditions; to talk and to listen. For more on our commitment to Time to Change, check out our #TimetoChange tweets at @NovartisUK.